This episode has Sam and Dean going hunting down a monster that Rufus and Bobby (Bobby! Oh how I miss you) once hunted as well – and we have a lot of flashbacks of how the two teams worked. I loved the genuine affection both teams had – though Sam and Dean have a heavy dollop of cockiness (especially from Dean) and snark, while Rufus and Bobby are much more cautious and have a wonderful sense of world weariness about them. I like that – it would have been easy and lazy to try and make both teams the same: the make Bobby and Rufus just a duplicate of Sam and Dean – but it wouldn’t work. Bobby and Rufus aren’t as close and have also been doing this a whole lot longer. We have parallels (I like that both teams are taking this case as an easy win to distract themselves from world consuming horror they can’t quite figure out how to deal with it). And, of course, all the world must love Bobby calling Sam and Dean “my boys” and when Rufus even thinks of challenging that Bobby doubles down. Sam and Dean are his all-but-sons, not even questioned. 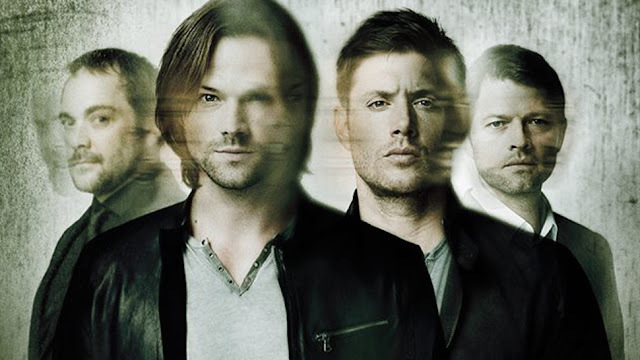 Doubly so when we see Bobby’s tormented nightmare is the death of Sam and Dean. Even when they take him for granted and he calls the idjits, there’s so much care there. Rufus and Bobby also work so well together – maximum crotchetiness, lots of experience and confidence without as much of the macho bravado of Dean or the endless emotional issues and Manpain. I would almost say spin off – or at least more of these since it would also do a good job of increasing the number of recurring POC in the series – except Rufus has already been killed off. The story itself was nicely spooky, a nice old school monster of the week episode. It had lots of creepiness, lots of excellent relationship moments between the brothers without the wall to wall angst which seems to almost be a necessity recently. It was fun, not too deep, but a great way of just seeing the Winchesters in action. And we had a lesbian WOC who had a happy family, didn’t die and wasn’t used for comic relief! Yes, she didn’t have a great deal of screen time and spent a fair amount of time comatose – but NOT DEAD. Yes, this is how low my expectations have sunk.